Herb Your Enthusiasm #infographic ~ Visualistan '+g+"
Whether you’re brand-new to the gardening game, of you’re a seasoned pro, herbs are always a fun, rewarding plant to grow. With a high success rate in growing, and a vast amount of uses, herbs claim one of the top spots in gardener’s hearts throughout the world. It is important to know, however, when to use which herb, and which dishes the herb will work best in. 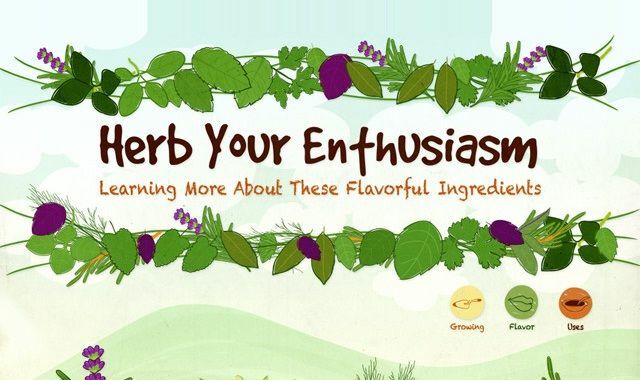 northwestpharmacy has created an infographic entitled “Herb Your Enthusiasm”, which gives you all the info you need in order to use those herbs in the best way possible, complete with planting tips, flavor profiles, and even recommended shortlists of what types of dishes to best utilize the herb’s flavor.